Acquired: In Person, Philadelphia Eagles Training Camp 1993, West Chester, PA. 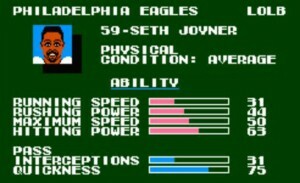 I got Seth’s autograph on my trip to Philadelphia Eagles Training Camp back in 1993 at West Chester, PA.
A dominant linebacker who could enforce the run as well as play the pass, Seth Joyner was drafted in the 8th round of the 1986 draft and played for the Philadelphia Eagles, Arizona Cardinals, Green Bay Packers and Denver Broncos over a 13 year career. 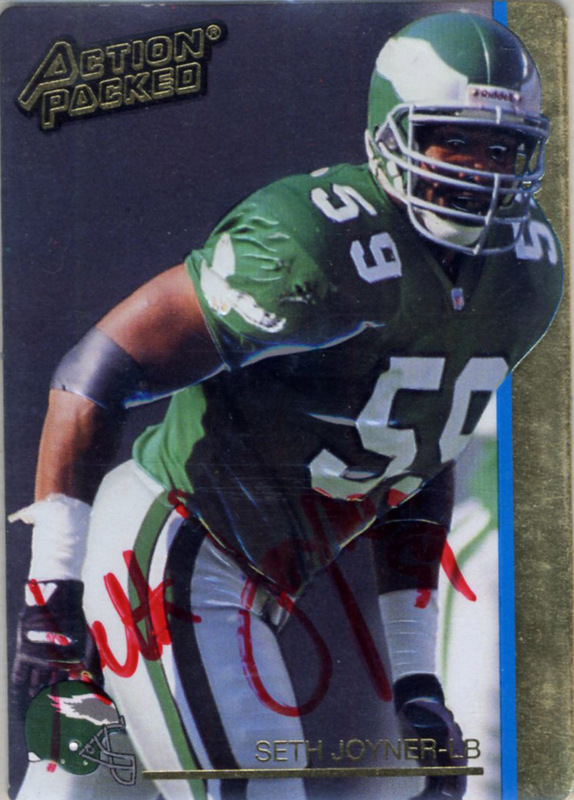 A three time Pro Bowl selection (1991,93, and 94) he was also runner up for the AP NFL defensive player of the year in 1991, and the SI NFL player of the year that same year. After winning Superbowl XXXIII with the Denver Broncos he retired as a member of 20/20 club. A rare breed of linebacker that has at least 20 picks and 20 sacks in their career. (Rickey Jackson, a member of this club was just inducted into the HoF in 2010.) Since retiring to Arizona Seth has become an avid golfer and does NFL analysis work for a variety of networks on the radio and on TV and continues to be beloved by the Eagles’ faithful.